When it comes to stock market coverage in the mainstream media, a select few hog the spotlight. The FANG’s are talked about a lot. So are other big tech giants like Apple (NASDAQ:AAPL). Red-hot chipmakers like Nvidia (NASDAQ:NVDA), Advanced Micro Devices (NASDAQ:AMD) and Micron Technology (NASDAQ:MU) get a lot of love. Same with Chinese internet stocks like Alibaba (NYSE:BABA), JD.com (NASDAQ:JD) and Baidu (NASDAQ:BIDU). Outside of the tech world, consumer discretionary giants like Nike (NYSE:NKE), Costco (NASDAQ:COST), and Walmart (NYSE:WMT) tend to dominate the headlines. But those aren’t the only stocks in the market. More importantly, they aren’t the only good stocks in the market. 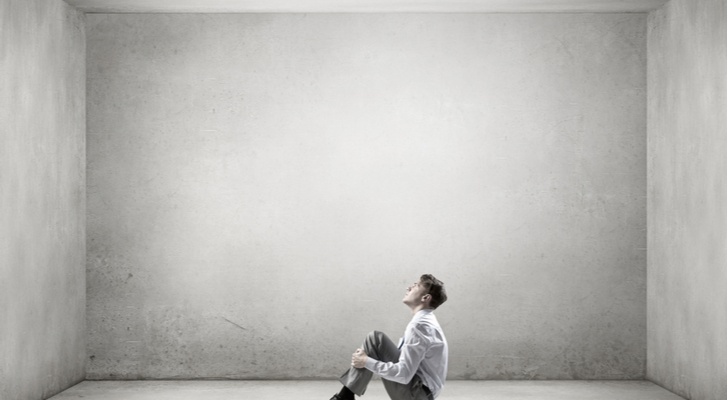 With that in mind, here’s a list of 20 underappreciated stocks that don’t get much love from the mainstream media, but nonetheless offer great investment opportunities here and now. Trade war fears have knocked a lot of the mainstream media stocks off course recently. But Fossil (NASDAQ:FOSL) has surprisingly weathered the storm without much volatility and simply headed higher. But this is more of the same for this resurgent watchmaker. Shares are up 300% year-to-date, as the company’s turnaround in the watch world through hybrid smartwatches is starting to bear fruit. Investors are buying the stock in bulk. Analysts are upgrading. Insiders are loading up. Everyone is seemingly excited about the company’s hybrid smartwatch turnaround prospects. The rally in FOSL stock has come far in a short amount of time. But this stock is still well off its all-time highs of $120. 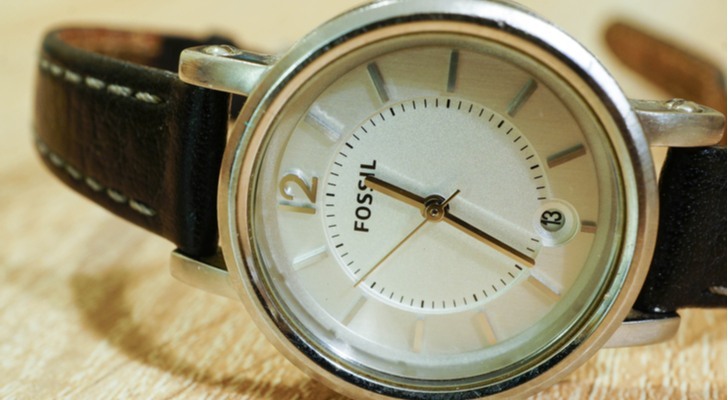 Assuming hybrid smartwatches allow the company to reclaim even just a fraction of its traditional watch business, then FOSL stock should head higher from here. In case you haven’t heard, the mall is back. 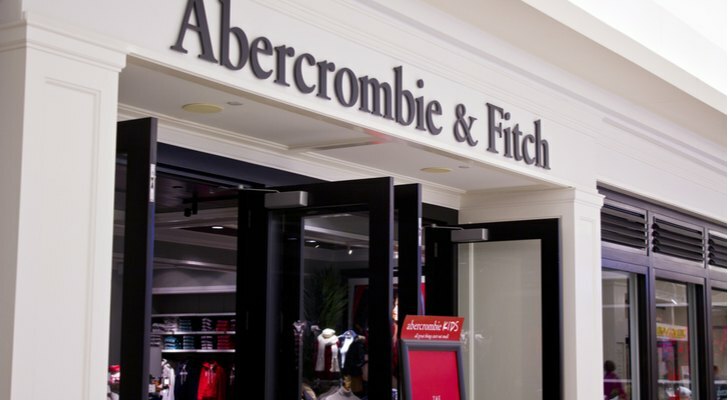 And one of the biggest winners as a result of the mall’s bounce back has been teen clothing retailer Abercrombie & Fitch (NYSE:ANF). Shares are up 120% over the past year. The rally has coincided with a bounce-back in the numbers that implies operations are back to normal after several years of compressing. Comparable sales growth is positive. Gross margins are expanding. Operating margins are expanding. Earnings are exploding higher. Much like FOSL, ANF stock has rallied in a big way recently, but still remains well-off all-time highs. Considering ANF’s numbers are presently about as good as they’ve ever been, there is no reason why ANF stock can’t keep rallying back to all-time highs in the foreseeable future. 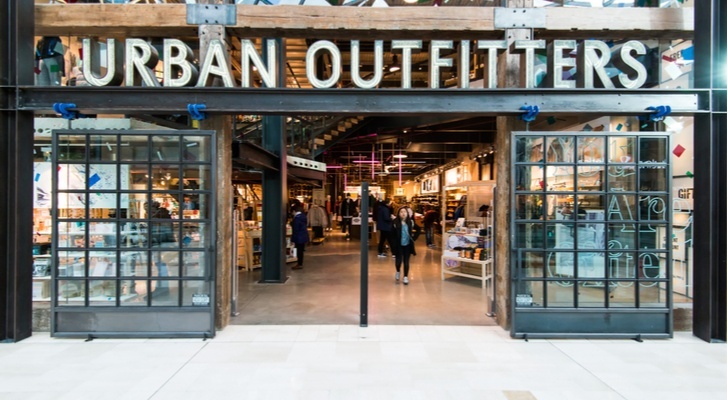 Another big winner thanks to the bounce-back in mall retail has been Urban Outfitters (NASDAQ:URBN). The trendy teen clothing retailer has seen its stock rise 160% over the past year. Powering the rally are surprisingly good numbers. Comparable sales growth has been consistently positive, and the company just reported record first quarter sales. Margins are expanding by a ton, and earnings increased by nearly four-fold last quarter. In other words, the numbers are all-time good at URBN. But the stock trades at just 18-times forward earnings, which isn’t an all-time high valuation. Indeed, an 18 multiple on earnings that basically quadrupled last quarter seems quite cheap. Consequently, URBN stock should keep heading higher over the next several quarters thanks to a combination of better numbers and multiple expansion. Malls aren’t the only left-for-dead industry that is bouncing back. The movie theater business appears to be back on track, too. The number of movie tickets sold in the U.S. is projected to grow this year for the first time since 2015. And ticket growth is expected to come in at 15%, which would mark the movie theater’s biggest growth year over the past two decades. 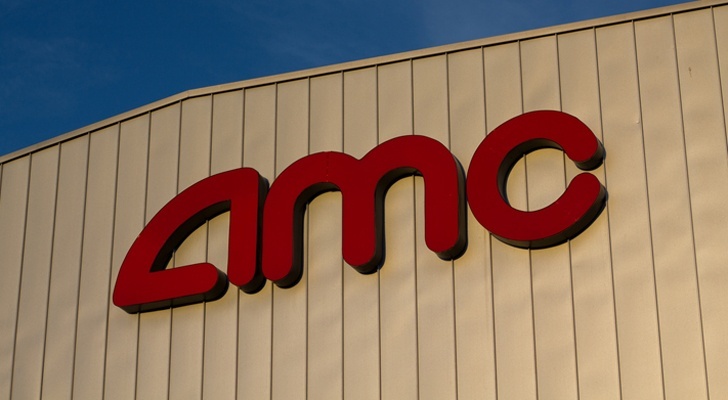 But investors are still hesitant to buy AMC Entertainment (NYSE:AMC). Thanks to overarching concerns regarding the longevity of this comeback in the movie theater business, AMC stock is down 30% over the past year and up just 6% year-to-date. But this persistent weakness is an opportunity. Much like malls made a big comeback over the past 12-24 months, movie theaters will make a big comeback over the next 12-24 months as movie going becomes more of an experience that is powered by sustainable subscription models (see AMC’s new Stubs A-List program). And just as mall stocks like URBN and ANF have rallied in a big way alongside a resurgent mall, movie stocks like AMC will rally in a big way alongside a resurgent movie theater. 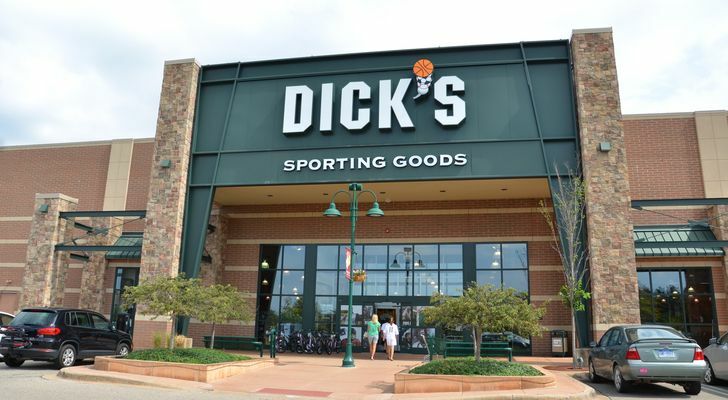 Another lesser known stock in bounce-back mode is Dicks Sporting Goods (NYSE:DKS). Thanks to improved operations and more optimism regarding the staying power of the business, DKS stock has rallied nearly 30% so far in 2018. This rally has legs because the numbers at DKS are getting better, and the valuation remains cheap. DKS is developing robust omni-channel capabilities while simultaneously building out a suddenly red-hot private label business. The combination of these two initiatives is powering improved results at DKS, and these improved results should be the new norm going forward. DKS stock remains dirt cheap at just 12-times forward earnings, versus a five-year average multiple of 15. As sentiment normalizes and the numbers continue to improve, DKS stock should return to a 15X multiple, implying healthy upside in a near- to medium-term window. Any discussion of DKS as a top stock would be incomplete if it didn’t include something about Foot Locker (NYSE:FL). 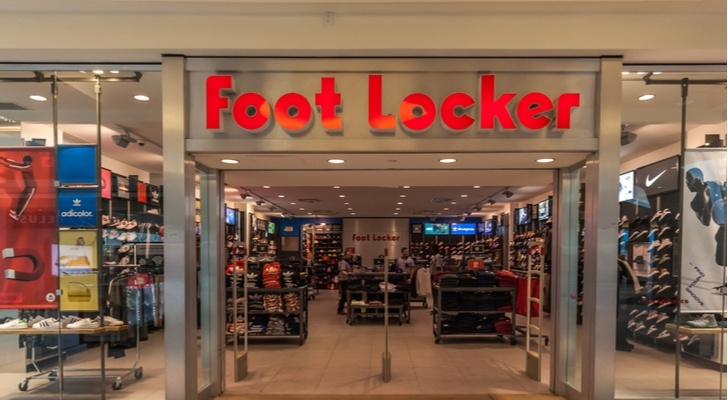 Dicks Sporting Goods’ better half, Foot Locker has staged an equally big comeback this year as the numbers have improved by a bunch. In short, Foot Locker was the king of the wholesale athletic retail world for a long time. But then the entire wholesale athletic retail world was uprooted by a big push from athletic retail brands toward direct sales. That caused a flurry of bankruptcies in the wholesale athletic retail world, and forced investors to question the staying power of Foot Locker’s business. The numbers got ugly for a while, and FL stock dropped like a rock. But it appears as though that was just a short-lived normalization period. Now, the numbers are steadily improving, as comparable sales growth is crawling back into positive territory and margins appear to have bottomed. Meanwhile, FL stock trades at just 12-times forward earnings, so the bull thesis on FL stock based on improved numbers converging on a discounted valuation looks promising at current levels. Another bounce-back story, Signet Jewelers (NYSE:SIG) is getting its groove back as the company reinvents itself to attract more millennial diamond and jewelry buyers. The big, bad wolf in this industry is that young people aren’t buying diamonds. They are strapped with student debt and pushing back big life events, like marriage. 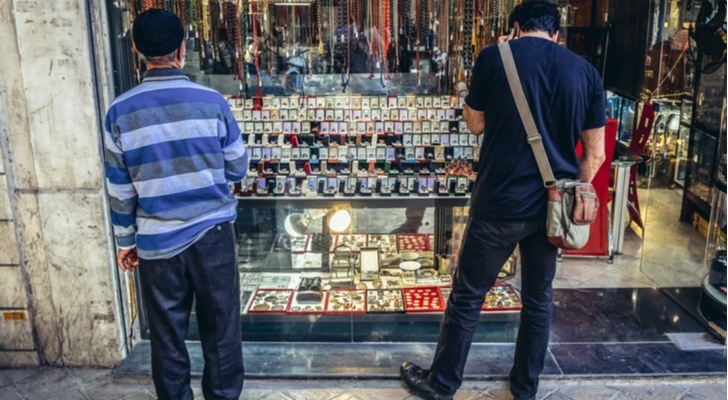 Moreover, younger consumers have a tendency to value experiences over objects, so whatever free cash they have is going toward traveling and experiences, not diamonds and jewelry. Signet stock suffered as a result of these trends. But the company is finally re-inventing itself to be more relevant to and accessible for these potential customers. They are building out their digital sales capability, and running marketing campaigns targeted at bringing in those elusive younger customers. The sum of these initiatives should provide a boost to the operating business, which will translate into huge stock price gains considering SIG stock trades at just 14-times forward earnings. Have you ever heard of Fortnite? Its the biggest gaming trend right now, and arguably one of the biggest gaming trends ever. Have you ever wondered how to best play this Fortnite trend in the stock market? Look no further than Turtle Beach (NASDAQ:HEAR), the video game headset company, which is already up 1,000% this year on Fortnite excitement. The premiere gaming headset company was essentially left for dead earlier this year, as evidenced by HEAR stock price’s collapse from $70 five years ago to under $2 at the start of this year. But then Fortnite and PlayerUnknown’s Battlegrounds happened. And the battle royale gaming market boomed in popularity, causing a huge jump in consumer demand for Turtle Beach’s gaming headsets. This golden era for HEAR has staying power. Turtle Beach is still just a $265 million company being valued at around 1.3-times this year’s projected sales. Therefore, if these battle royale tailwinds persist and revenues and profits continue to climb, HEAR stock could head even higher. 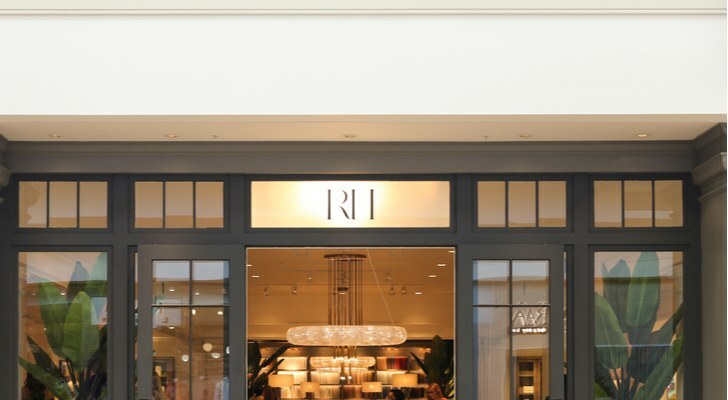 High-end furniture retailer Restoration Hardware Holdings (NYSE:RH) has run under the radar for some time now in an industry that many pundits thought was permanently challenged. But that hasn’t stopped the stock from making a huge move as the company has proven pundits wrong. Thanks to a massive turnaround in the operational results, RH stock has rallied more than 450% off its February 2017 lows. Why the big rally? At its core, the RH rally is all about the company’s pivot from a promotional business model to a membership business model. This transition has allowed the company to build a loyal customer base, which has driven more stable revenue growth. It has also allowed the company to grow margins at a robust rate, and that is happening alongside stable revenue growth, so earnings are soaring. At current levels, RH stock is running into some valuation friction. I wouldn’t run out and buy the stock here and now. But any meaningful pullback should be viewed as a buying opportunity. This company projects to be a furniture retail winner over the next several years. 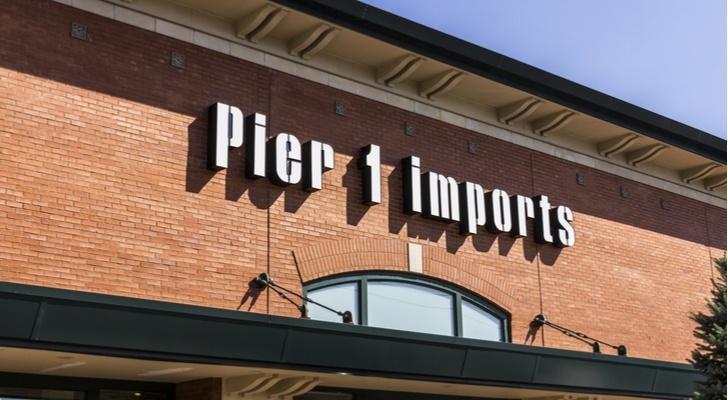 On the other end of the furniture retail spectrum is Pier 1 Imports (NYSE:PIR). While RH has soared to new highs on improved operational results, PIR has sunk to new lows as the numbers just keep getting worse. Comparable sales and margins are heading in the opposite direction for this challenged retailer. But the company operates in a furniture retail business that has staying power, and if PIR management can execute, the RH success story is proof that the payoff could be huge for shareholders. Meanwhile, the company has $135 million in cash on the balance sheet. That means more than half of the current market cap is covered in cash, so PIR stock is dirt cheap. Considering the upside is huge in the event management gets their act together like RH, the risk-reward asymmetry on PIR stock skews strongly to the upside at present levels. The big Chinese internet stocks are among some of the most talked about and covered stocks in the market. But the hottest Chinese internet stocks recently haven’t been the big ones, but rather the class of freshly public, hyper-growth Chinese internet stocks. Perhaps the hottest stock in this group is iQIYI (NASDAQ:IQ). 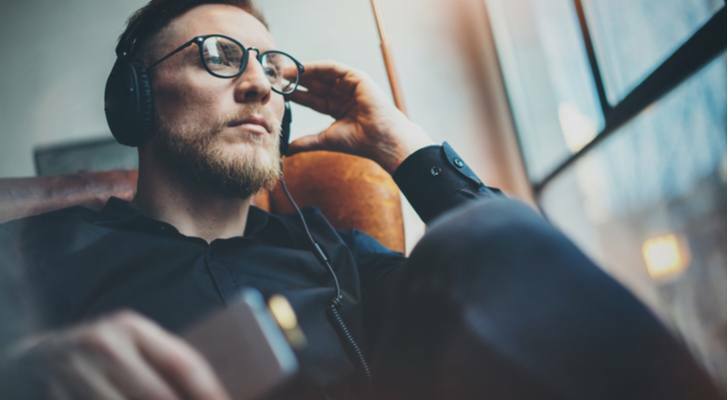 IQ is essentially the Netflix (NASDAQ:NFLX) of China, and that is an exceptionally favorable comp considering what Netflix has done over the past several years and projects to do over the next several years. Better yet, IQ operates in China, which is a huge potential streaming market with roughly 800 million internet users. IQ only has 60 million members right now. That means the growth runway to 100, 200 and even 300 million potential users over the next several years has clarity and credibility. With such huge and believable growth prospects ahead of it, IQ stock could very well follow in the explosive footsteps of NFLX. Another red-hot, freshly public Chinese internet company is HUYA Inc (NYSE:HUYA). Whereas IQ is the Netflix of China, HUYA is often labeled as the Twitch of China. That is a favorable comparison. Twitch is a hyper-growth company that operates in the hyper-growth overlap of the eSports and video game streaming markets. HUYA, though, oozes with even bigger growth potential than Twitch. China is the world’s largest games market in terms of revenue and gamers. In 2017, gaming revenues were $32.2 billion in China, versus $26.4 billion the U.S. The disparity is mostly driven by the fact that China has 646 million gamers, essentially double the entire U.S. population. 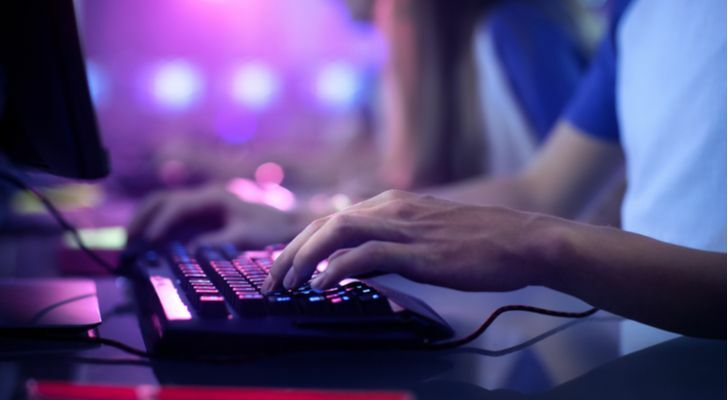 Moreover, China’s active game base is expected to grow by 13%-per-year over the next five years, versus just 5% growth in the U.S.
Clearly, the big growth narrative in the video game streaming market is happening in China. And in China, HUYA is king with almost 50% market share. Consequently, as the Chinese eSports and live streaming markets explode higher over the next several years, HUYA stock will inevitably climb higher, too. Trend-oriented discount retailer Five Below (NASDAQ:FIVE) is perhaps the best performing and strongest name in all of retail. The company has figured out that while trends come and go, a trend will always exist, so they have designed stores and a business model that are nimble enough to adjust to changing trends. When spinners were hot, Five Below sold a ton of spinners. When selfie sticks were hot, Five Below sold a ton of selfie sticks. This model has worked. Five Below has reported consistently positive comparable sales growth over the past several years. Meanwhile, the company has a relatively small store base that is rapidly expanding by around 20%-per-year. Due to stable comparable sales growth and robust unit expansion, Five Below is often characterized as a 20/20 company, or a company with 20% revenue growth and 20% earnings growth potential. Typically, such 20/20 companies trade at big valuations, so I’m not terribly concerned that FIVE stock trades at 40-times forward earnings. 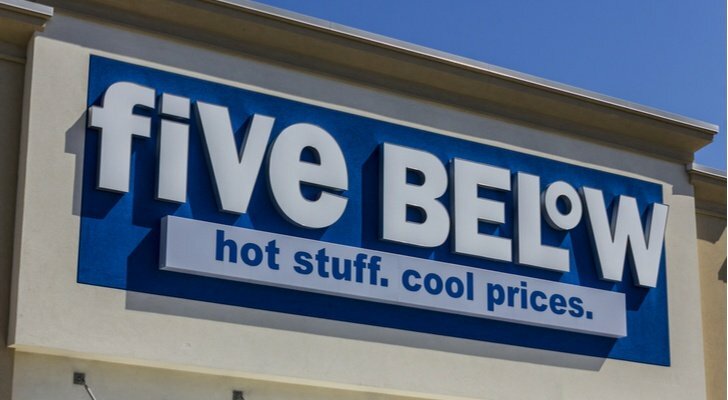 The robust growth narrative supporting Five Below will allow this company to grow into its valuation over the next several years. The big bounce-back in malls didn’t just happen without a catalyst. Instead, what happened was that malls reinvented themselves as multi-purpose destinations that offered experiences that couldn’t be replicated online. Old malls were exclusively clothing stores with a food court. New malls comprise of some clothing stores, a few restaurants, fitness gyms, arcades, cafes, salons and more. 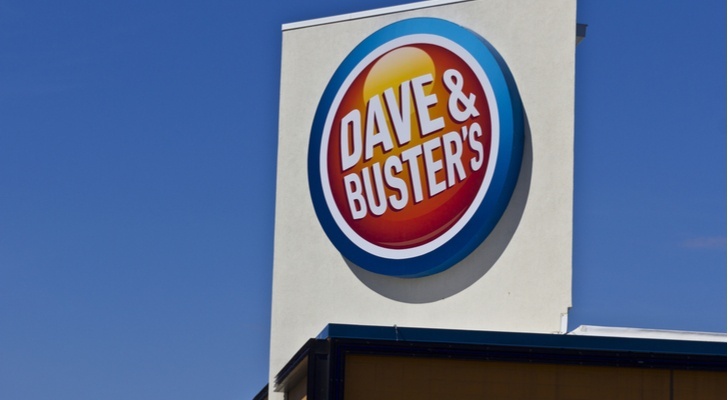 At the heart of this transition is Dave & Buster’s Entertainment (NASDAQ:PLAY). Dave & Buster’s is a multi-purpose entertainment destination that is a restaurant and children’s arcade by day, and a buzzing bar by night. This multi-purpose entertainment aspect of PLAY, which is something that most definitely cannot be replicated online, made the company a prime candidate to fill up empty retail space and help turn malls around. This transition is still in its early phases, and while D&B has hit some near-term operational road-bumps, the long-term growth narrative supporting PLAY stock remains quite robust. As such, this stock, which trades at just 18-times forward earnings, will head materially higher in a multi-year window. When it comes to furniture retail, Restoration Hardware is first-in-class and La-Z-Boy (NYSE:LZB) isn’t too far behind. 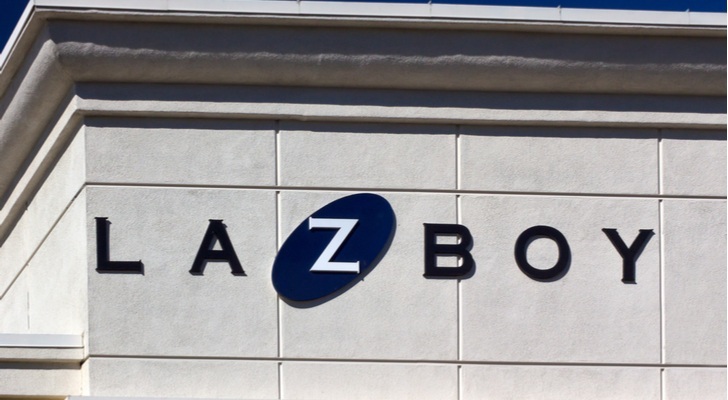 Despite a challenged operational backdrop, LZB’s numbers over the past five years have been largely positive, headlined by positive comparable sales growth and consistent margin expansion. This speaks to the value of the company’s brand, and the staying power of the business model, even amid dynamic changes in the retail world. LZB stock, though, hasn’t had the best showing. Over the past three years, the stock is up just 15%, which doesn’t match up with a retailer that is reporting positive comparable sales growth and margin expansion. Consequently, with the stock trading at 14-times forward earnings, I think the recent weakness presents an opportunity for investors in the near- to medium-term. I follow the athletic shoes industry quite closely, and I get it. Nike, Adidas (OTCMKTS:ADDYY) and Under Armour (NYSE:UAA) are the cool brands that all the kids wear. 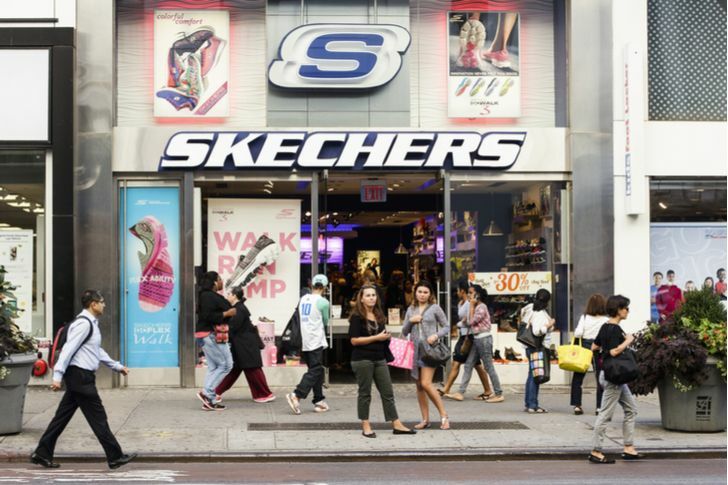 But the biggest growth name in this space is surprisingly Skechers (NYSE:SKX). The company has made a killing selling mid-price and comfortable athletic sneakers to the price and comfort oriented consumer. Apparently, that market is quite big, especially on the international front, where SKX is growing revenues by nearly 20%. and has been reporting robust growth for a long time now. The value prop of SKX as a company that doesn’t compete with Nike/Adidas/Under Armour on style, but beats them on price and comfort, has staying power. That means SKX will remain a healthy growth company over the next several years. That simply isn’t priced in at present levels (SKX stock trades at just 14-times forward earnings). The robot revolution has arrived, and one of the best ways to play this revolution is through leading consumer robotics company iRobot Corporation (NASDAQ:IRBT). iRobot is the company behind the Roomba robotic vacuum cleaners, and those vacuums dominate what is a rapidly growing global robotic vacuum market. The robotic vacuum space in it of itself, due to its nascent nature and clear pathway to mainstream adoption, presents a huge growth opportunity for IRBT. 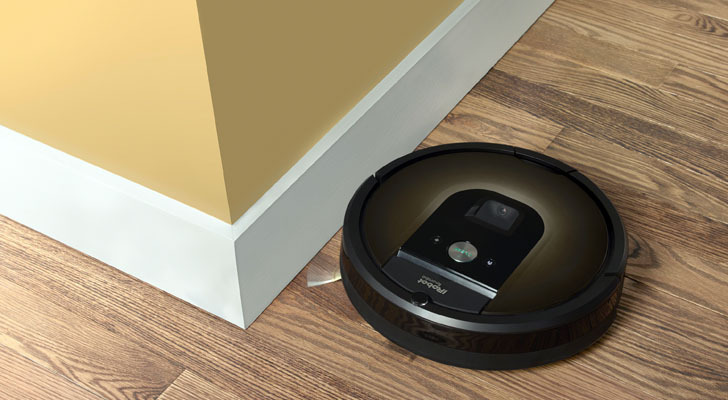 But while the IRBT growth story starts with robotic vacuum cleaners, it doesn’t end there. Over the next several years, IRBT is projected to release a series of new household robotic products, such as a robotic lawnmower. Overall, it is easy to see how IRBT stock is a pure play on mainstream household consumer robotics adoption. This is a secular growth narrative with many years of growth ahead of it, only a fraction of which is priced in at present levels (IRBT stock trades at just 30-times forward earnings for what was 29% revenue growth last quarter). Remember when grocery stores were supposed to be killed by an Amazon (NASDAQ:AMZN) owned Whole Foods? Well, that never happened. Instead, grocery stores continued to report steady growth numbers, and the industry was little changed. 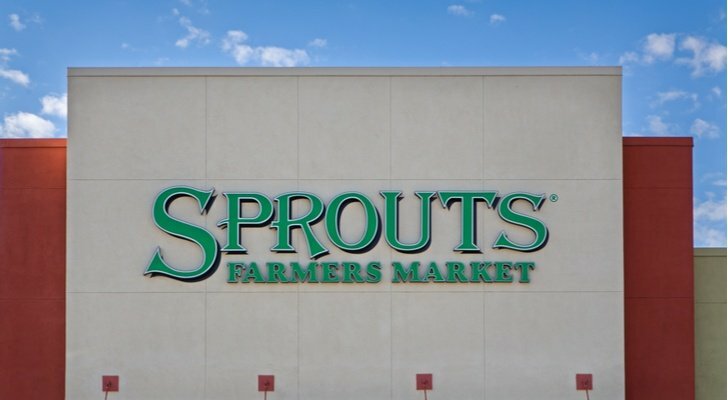 This is especially true with Sprouts Farmers Market (NASDAQ:SFM), the health oriented grocery store which was widely seen as a major loser as a result of Amazon’s acquisition of Whole Foods. That couldn’t have been farther from the truth. SFM reported comparable sales growth of 2.9% last year (5.6% on a two-year basis). Sales rose by 15%. Earnings rose by more than 20%. In other words, SFM has proven staying power in the grocery sector. That staying power isn’t fully priced into shares here and now as the stock trades at just 18-times forward earnings for what was 20% earnings growth last year. The company formerly know as Taser International has dramatically changed over the past 12-24 months. 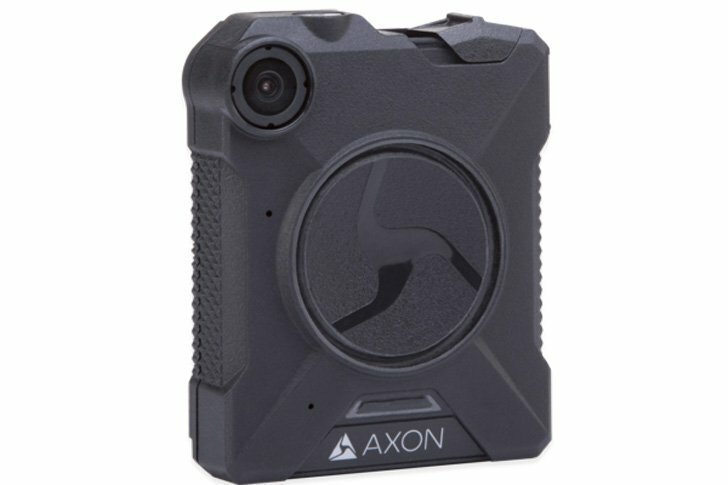 The company rebranded as Axon Enterprise (NASDAQ:AAXN), flipped the business focus from selling tasers to selling body cameras and accompanying cloud-hosted data management solutions, and decided to give away a free body camera to every police officer in the U.S.
Wall Street didn’t like the bold moves at first as margins got killed. But in 2018, revenue growth was remained robust and margin expansion has entered the fold, powering robust profit growth and huge share price gains. AAXN stock has shot higher as a result, and is now up 140% year-to-date. Further gains for the stock seem possible in a long-term window given the secular growth narrative through modernizing law enforcement agencies globally, a market which not only has massive growth potential, but also significant stability. Want to talk about a big move? 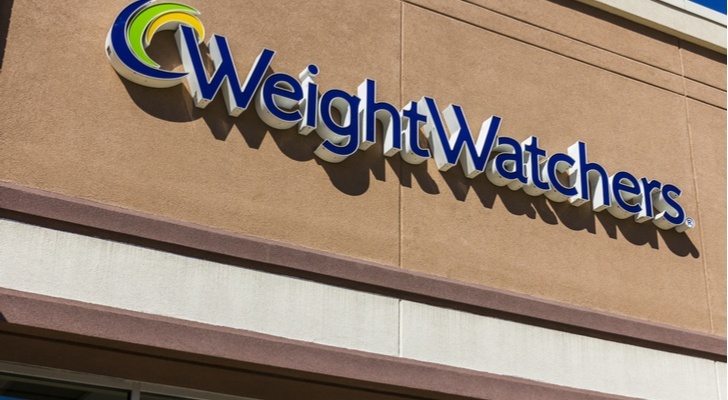 Ever since Oprah took a 10% stake in Weight Watchers (NYSE:WTW) below $7 a share, the stock has increased in value by more than fourteen-fold to $100. The fundamental backdrop implies more gains ahead for WTW stock. Consumers are more concerned now with what they eat than ever before. They are also more willing to try weight-loss programs than ever before, as celebrity endorsement of weight-loss regimes has transformed the private, shameful feelings of weight-loss into public, hopeful feelings. Consequently, the operating backdrop for weight-loss programs like WTW is exceptionally favorable at the present moment, and projects to only get more favorable over the next several years. WTW stock should head higher as a result. As of this writing, Luke Lango was long AAPL, MU, BABA, JD, BIDU, COST, FOSL, URBN, AMC, DKS, HEAR, IQ, HUYA, PLAY, LZB, SKX, IRBT, and AMZN. Article printed from InvestorPlace Media, https://investorplace.com/2018/06/20-top-stocks-that-dont-get-enough-appreciation/.